There are few things more coveted than freedom. People die for it. People pray for it. People strive for it. True freedom comes from knowing truth. 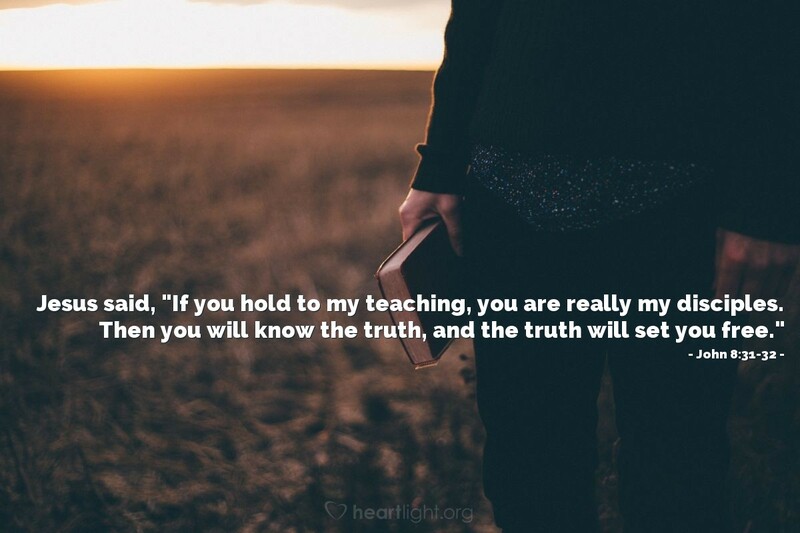 Knowing truth ultimately comes by living in obedience to Jesus. Truth is not just something you think about or believe. Truth is something you do, you live. Jesus' teaching often ends with the exclamation: Blessed are you who do these things! Only by doing will we ever know the truth that liberates us. To the only true God be glory, honor, power and praise. Father I seek not only your presence in my daily life, but also your pleasure in the choices I make. Please teach me more of your truth as I pledge to live today in obedience to your word and your will. Through Jesus the living Word I pray. Amen.